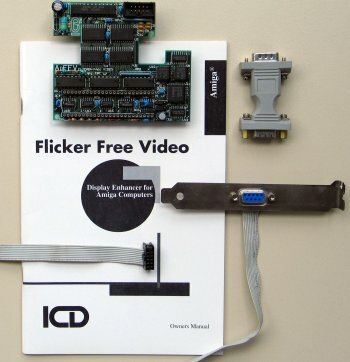 The Flicker Free Video plugs into the Denise socket and provides your Amiga with scandoubled and flickerfixed output, suitable for use with S/VGA monitors. 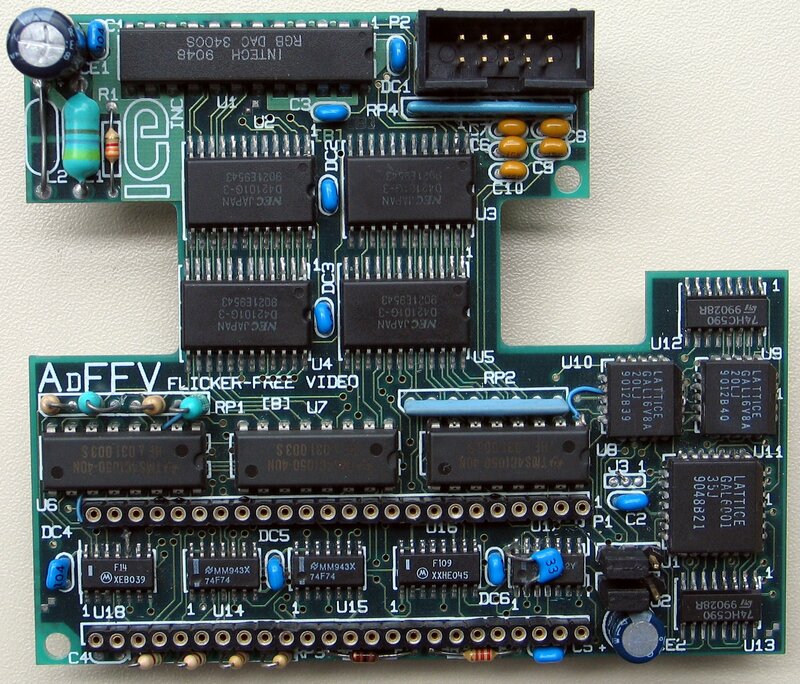 It is compatible with most Denise equipped Amigas such as the A1000, A2000 series (except german models) and the A500/+. A standard 15pin VGA connector is attached to a header on the card. 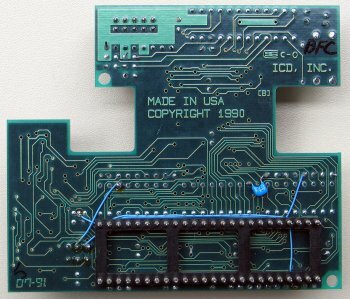 You can continue to use the VGA connector simultaneously with the Amiga's 23pin video port. Page contributors: Francisco Rabay Jr, Ron Mascaro.